Emma Stone was born in Arizona and became a member of the Valley Youth Theatre while growing up. She attended middle school before being home schooled for two years while appearing on the stage and in an improv group. Emma convinced her parents to let her move to LA by showing them a PowerPoint presentation - it worked and she moved to California with her mum at the age of 15. During her teens, Emma appeared in TV shows Medium, Malcolm In The Middle and Drive, which became a regular spot. She auditioned for a part in Heroes but the producers decided on Hayden Panettiere instead. In 2007, Emma made her feature film debut in Superbad and starred in House Bunny. But she had to wait till 2010 for her first leading lady role, as school student Olive Penderghast in Easy A. It bagged her a Golden Globe Nomination, Teen Choice Award and MTV Movie Award. Emma's other film credits include Crazy, Stupid Love with Ryan Gosling and The Help. She later played Gwen Stacy, Peter Parker's love interest, opposite Andrew Garfield, in The Amazing Spider-Man. 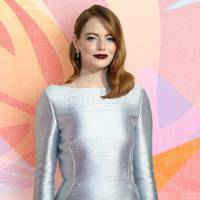 This time around starring alongside Ryan Gosling, Emma's latest role as Mia in La La Land might be her most successful career endeavour yet. 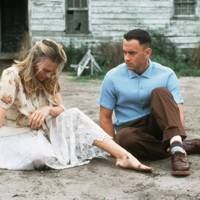 The motion picture earned 14 Oscar nominations and Emma took home the golden statue for Best Actress. Fresh from award season glory, Emma came out swinging playing Billie Jean King in Battle of The Sexes. Having just been named Louis Vuitton's new face, Hollywood's all singing all dancing all-rounder is set to turn herself into a fictional fashion icon, playing a young Cruella de Vil in the aptly named, Cruella. It's going to be a perm-anent fixture. Oscars 2017: Did you spot Emma Stone's feminist statement on the red carpet? Brie Larson was Emma Stone's biggest fan last night. Talk about #FriendshipGoals.